We have done hundreds of tree risk assessments and are Tree Risk Assessment Qualified. 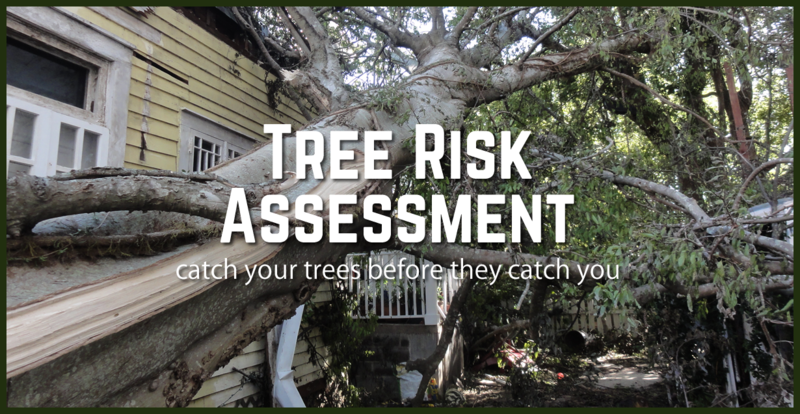 Tree risk assessment allows the Arborist to objectively versus subjectively classify the risk of your tree using a system that was developed by ISA International and the Insurance Industry, to fill the language gap. It is the 1st ISO 9001 assessment tool ever ISOed. ISO 9001 is an international standard for Quality Management Systems. Companies which are ISO 9001 accredited will have had their business processes audited by an independent assessor. make reasoned judgments and recommendations for mitigating identified risk.